Finally, my ten (eleven) favorite films of all time. 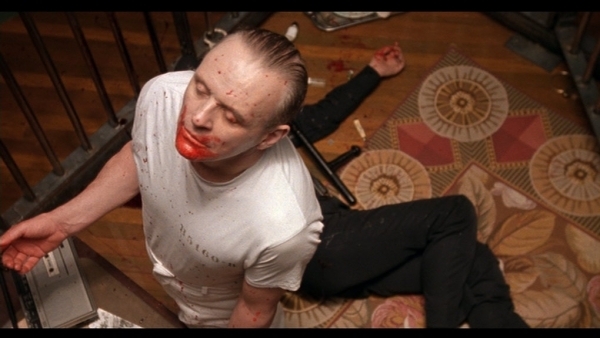 Every single moment of the film The Silence of the Lambs feels important and memorable, as it has been a favorite of mine ever since the first time I laid eyes on it. The pacing is remarkable, as the picture flows so smoothly from one incredible sequence to the next, and you may have picked up by now throughout this list that I am a sucker for the ominous, the dark and the deranged. I can't help it, stories like this grab my interest and when they are executed well, they don't let go. For roughly twenty years now I have watched The Silence of the Lambs and my love has not diminished in the slightest. 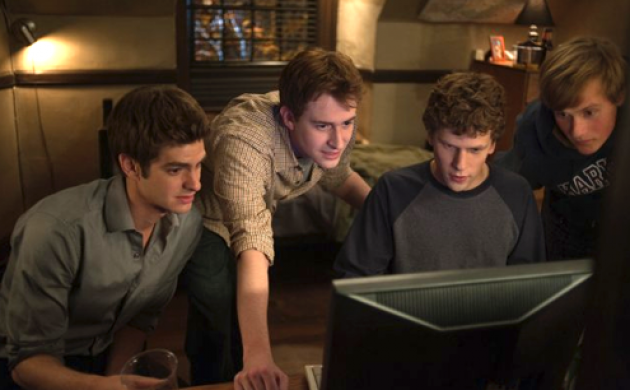 David Fincher is one of my favorite filmmakers working today, quite possibly at the top of that list, and for me his masterpiece was the 2010 film The Social Network. I recall thinking the choice was odd, that the man who brought forth such dark and intense thrillers would helm a film about the creation of Facebook. After seeing the finished product, the choice was not only no longer odd, it proved to be inspired and rather genius. Unbelievably the man wasn't awarded the Best Director prize at the Oscars for that year, and the film also lost out on Best Picture, but something tells me years from now it will be remembered as quite the achievement despite these snubs. One of the most important and iconic works in cinematic history, 2001: A Space Odyssey was initially a very polarizing experience and despite the fact that now it is held in incredibly high regard by many, it is still a work that is hard to accept for some. An abstract, surreal journey through time. Stanley Kubrick absolutely blew my mind the first time I laid eyes on this majestic epic, but I must admit I wasn't even sure I enjoyed it then. I had no idea what to think. It wasn't until years later when I revisited that the power of this film washed over me. It's weird, including a film that I just saw for the first time ever roughly a week ago on a list like this, especially THIS high up, but to be perfectly honest, given more time this may move up to top 5, hell even top 2 consideration. 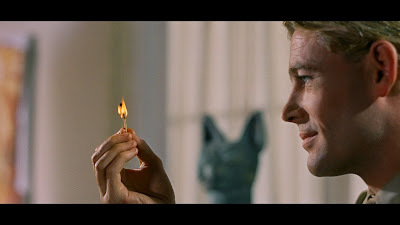 Lawrence of Arabia is just such a brilliant, perfect film, it is impossible to ignore. I have overreacted to new releases before, an experience I see in the theater and I quickly declare it a future classic, only to reevaluate later and realize the film was in fact great but perhaps not quite at the level it first seemed. This is not an overreaction. This is a worthy spot for a flawless work of art. If I would have made this list when I was eleven years old, the Star Wars trilogy would have held the top three spots on this list without a doubt. I was raised on them, I watched them so many times I practically memorized the films word for word, and nothing was better than coming home from school and popping in one of my VHS tapes from the holy trilogy. While not in the top three, you can tell that the original trilogy still holds a special place in my heart as I have already listed Return of the Jedi and here we have A New Hope. Years ago I declared that the greatest screenplay that I had every encountered was the work of Quentin Tarantino on Pulp Fiction. As we approach 2015, that feeling has not changed. Every damn word of this wonderful film is dynamite, music to my ears, and even though I have seen the film countless times I feel like I must hear and see every last second to truly appreciate it each time I give it another spin. So clever, so funny, so memorable and so damn cool. Masterpiece. 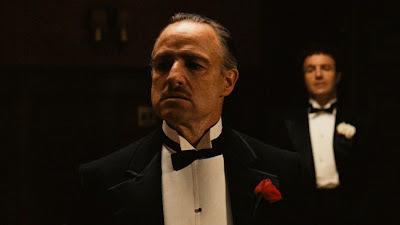 While not literally at the top of my list, I could never argue with someone who wishes to declare The Godfather as the finest cinematic work ever. Simply sublime storytelling from start to finish. Shame on me for ever thinking that silent films would be boring. If this is boring, than I wish I was bored right now. The Passion of Joan of Arc is without a doubt one of the most powerful, arresting experiences I have ever had, as it literally takes my breath away when I see it. It's the type of work that I am forced to remind myself to breath and continue functioning normally during it because I get so lost in the imagery and the score. I have never been one to get too attached to a piece of art in a museum. I can respect its beauty and try to piece together its meaning, but I never find myself overwhelmed by what is front of me like others do. 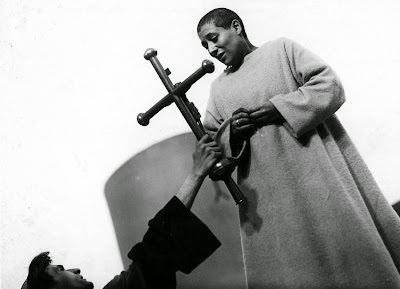 The Passion of Joan of Arc is like that for me, just turn it on and I cannot move, cannot look away until its over. A perfect film with a perfect lead performance. I love a whole bunch of Hitchcock films, but for me, nothing can top Vertigo. 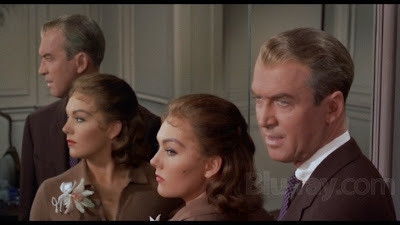 Jimmy Stewart. The beautiful Kim Novak. The incredible direction and editing and photography that keeps me coming back for me time and time again with this film I have seen at least twenty times before. The perfect music by Bernard Herrmann, who crafted so many perfect scores throughout his life. I will never forget the first time I saw this, I was in high school in a film class and we could only screen half the film the first day because of time restrictions, and I refused to wait another 23 hours to finish the story, so I went to the library that evening, checked out a copy and watched the conclusion at home. Didn't complain a bit when I watched it again the next day in class. In fact I may have watched the entire thing again once more before returning my copy. Such a stunning, incredible film. 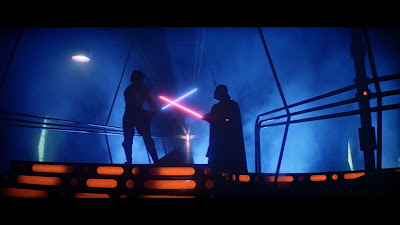 As I said above with my little bit about A New Hope, Star Wars was my thing growing up and nothing was better than the middle chapter, The Empire Strikes Back. It wasn't until recently, after lord knows how many viewings, that I actually truly admired it for the perfect cinema it is rather than just blindly adored it due to nostalgia. Despite so many viewings before, I was shocked to realize that the film is roughly only two hours in length. How the hell could so much awesomeness, so many iconic moments be packed into two hours...yet not once feel packed or crammed or rushed? The answer is absolutely astonishing pacing, a fluidity that rivals anything else I have ever seen. I wouldn't trim a second off and I also wouldn't add a second anywhere. The Empire Strikes Back is perfection. 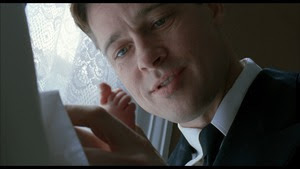 The Tree of Life by Terrence Malick is more than a movie. It changed my perspective on life. It made me appreciate my own existence more than I ever have before. Ironically, it is a film that I truly hated the first time I saw it, but to be fair I didn't really see it. Sure, it was playing in front of me and my eyes were looking at it, but I wasn't allowing the abstract narrative to soak in at all. I wasn't opening myself up to the experience. Once I did, I couldn't wipe the tears from my eyes fast enough. Now, each time I watch this film, as soon as its over I immediately have the urge to go check on my daughter. I look in at her sleeping and I don't want to look away. Having her in my life is a miracle, which is something I didn't appreciate enough until I saw this absolute masterwork, the single greatest film I have ever seen. Well, that's it. My 100 (101) favorite films of all time. Any thoughts on this portion of the list? The list as a whole? Thank you so much for checking out my selections and giving feedback. Good or bad, it means the world to me that you took the time to look at all.